A California Supreme Court ethics committee invites public comment on a draft opinion which advises that a judge generally cannot use the court’s case management system to search for information on a party, attorney, or facts relevant to the case before the judge. A state Supreme Court committee today posted a summary of oral advice given to an appellate justice about disqualification for prior assignment as a coordination judge in a matter now on appeal before the justice. A state Supreme Court committee today issued a formal opinion that guides trial court judges on campaign contributions and other campaign assistance they should disclose. A state Supreme Court committee this month posted a summary of oral advice given to an appellate justice about serving on the advisory panel of a civil liberties program for the California State Library. The committee concluded a judicial officer may serve on the advisory board of a nonprofit organization dedicated to improving criminal justice. The California Supreme Court Committee on Judicial Ethics Opinions invites public comment on a draft opinion about a trial court judge’s duty to disclose campaign contributions and other types of campaign assistance. Oral advice issued to a presiding justice seeking to solicit campaign endorsements on behalf of other justices facing retention elections. The Supreme Court Committee on Judicial Ethics Opinions issued oral advice to a trial court judge invited to sit on assignment in an appellate matter. The Supreme Court Committee on Judicial Ethics Opinions (CJEO) advised that an appellate court justice cannot contact a superior court presiding judge regarding misconduct by a superior court research attorney related to a pending appellate matter. Committee says a judge must avoid bias or the appearance of bias and avoid the appearance that the specialty bar association is in a special position to influence the judge. SAN FRANCISCO–The Supreme Court of California today filed an order approving the first comprehensive amendments to the Rules of Professional Conduct of the State Bar of California in twenty-nine years. The court approved forty-two rules as modified by the court, twenty-seven rules as submitted by the State Bar, and denied approval of one rule. The California Supreme Court Committee on Judicial Ethics Opinions invites public comment on a draft opinion on whether a judge may give an educational presentation to a specialty bar association. The handbook increases public trust and confidence in the judicial system by helping to ensure proper judicial behavior both on and off the bench. 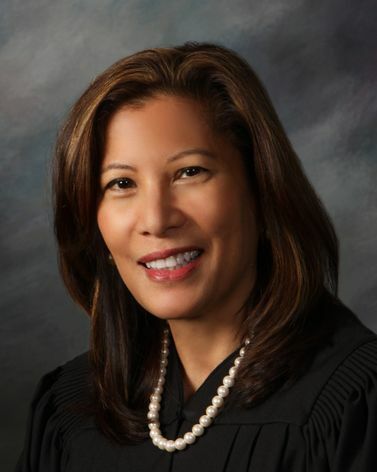 The California Supreme Court today announced the appointment of Justice Marla J. Miller to fill a vacancy on the Supreme Court Committee on Judicial Ethics Opinions. Judge Kenneth K. So of the Superior Court of San Diego County and Judge George J. Abdallah, Jr. of the Superior Court of San Joaquin County were both reappointed; Commissioner Belinda Handy of the Superior Court of Riverside County was appointed to serve a four-year term.